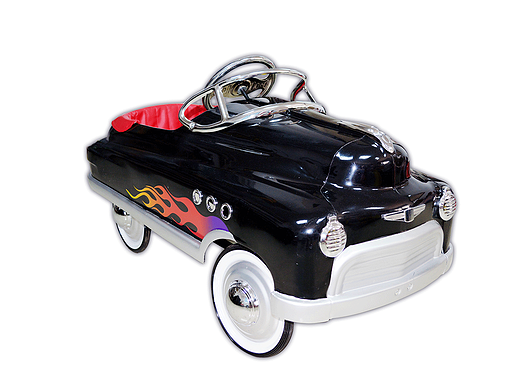 Automobilia - Pedal Cars - Cambridge Nostalgia & Co. - Retro Furniture, Gas Pumps, Games & More! 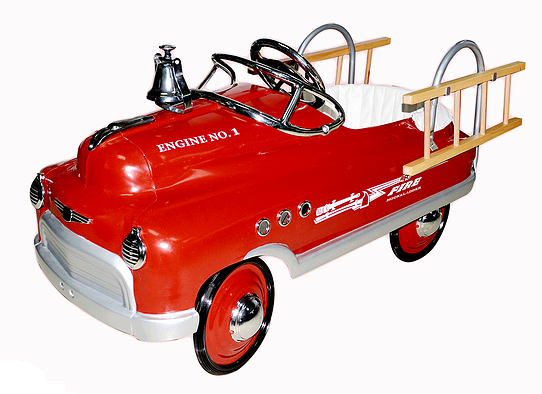 Did you have a pedal car when you were a child? Or maybe your neighbour did and they were the envy of the block. 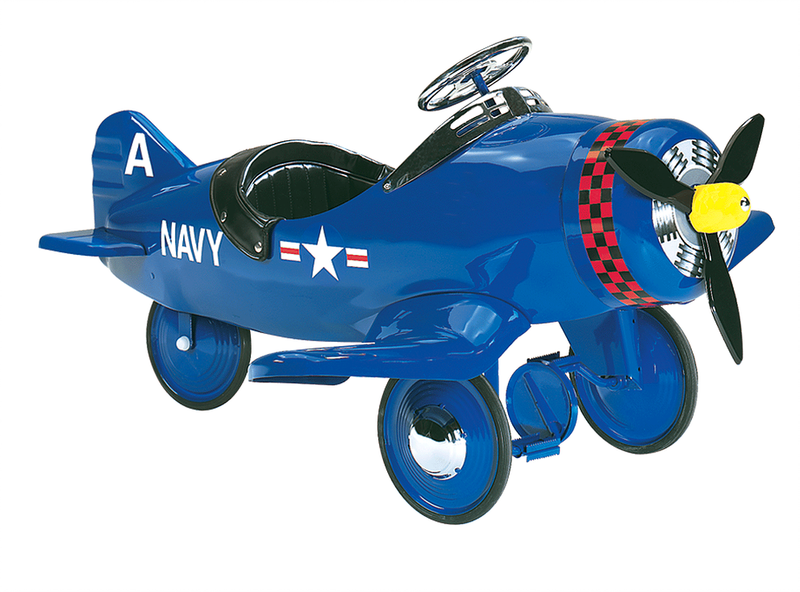 Well, now that you are all grown up, why not let your kids and grandkids and your great-grandkids enjoy the feel of the wind in their hair as they speed down the sidewalk, laughing and giggling to the enjoyment of all! Adjustable pedals. Adult supervision & assembly required. 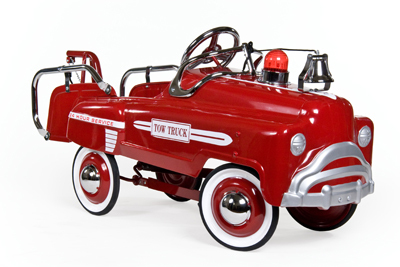 Just like the originals, the tow truck is made of heavy gauge steel and is ready for hours of play. 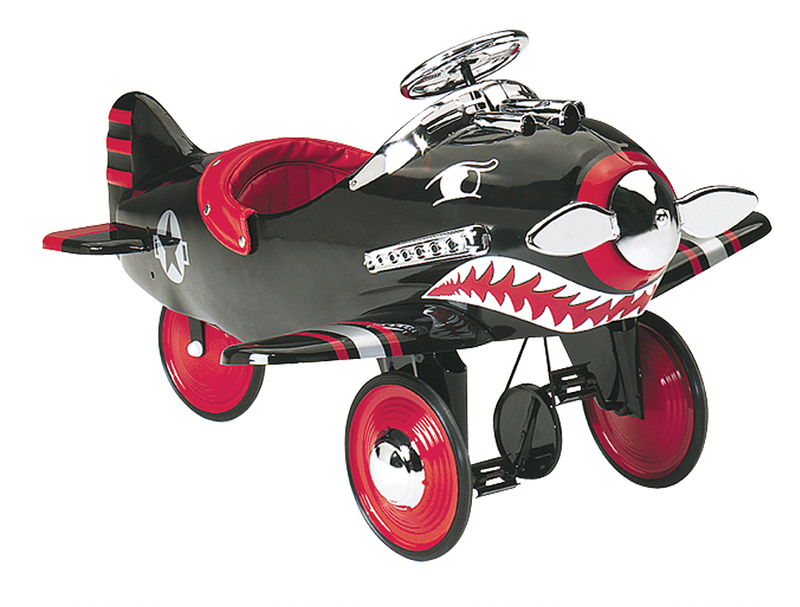 Inspired by the famous and highly collectible "sad face" vehicles of the 1940's, it is true in all details. 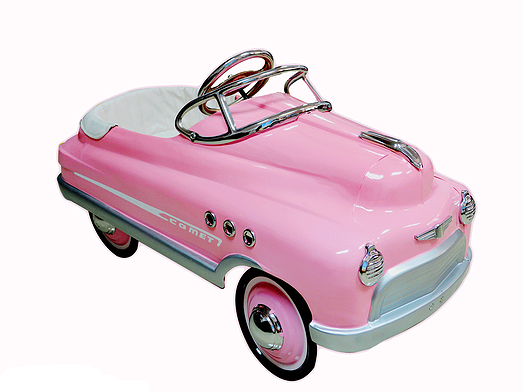 This beautiful pink pedal car has the classic cool stylings of the 1950's. 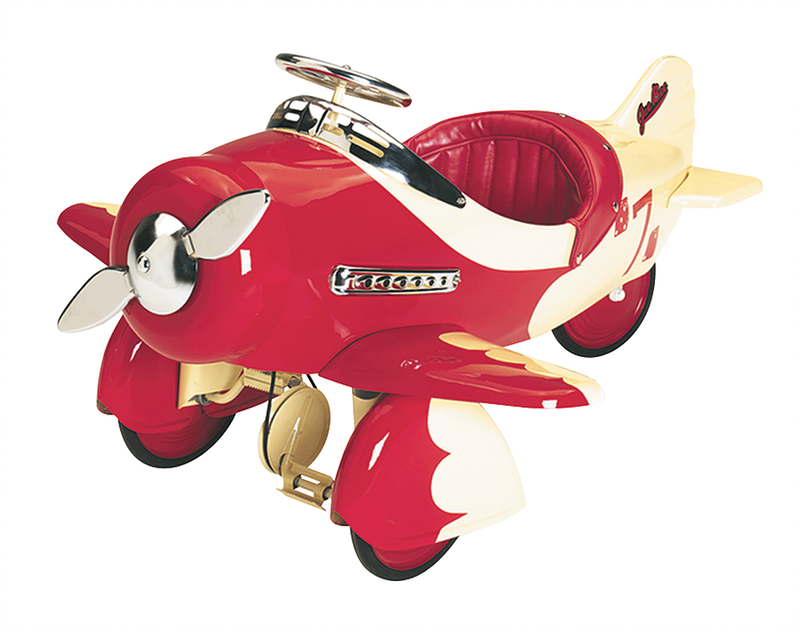 It's pretty pink paint, soft lines and chrome bling are sure to put a smile on a little girl's face. 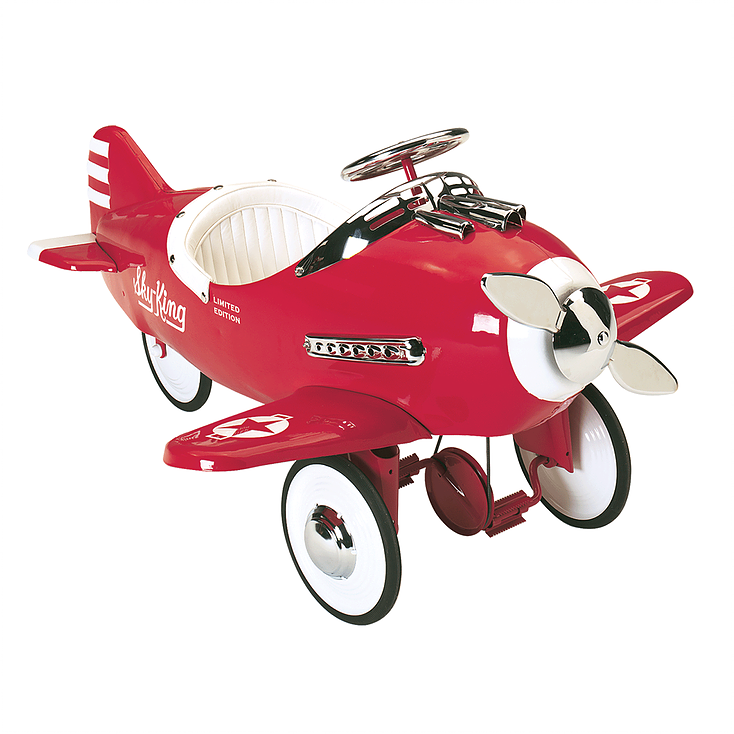 Recommended ages 3 to 5 years old. Adult supervision required. 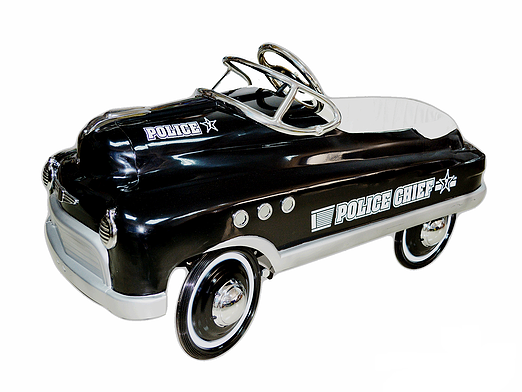 Let imaginations soar with this Police patrol car. Classic retro look for the most discriminating of officers. Recommended ages 3 to 5 years old. Adult supervision required. 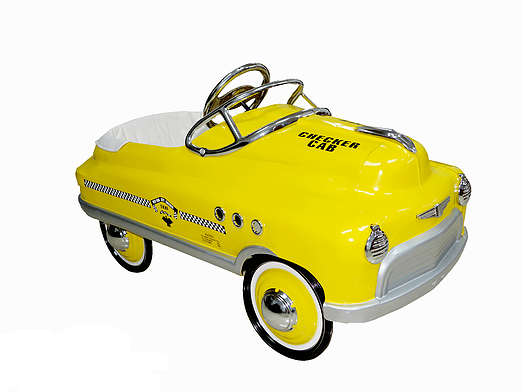 This car might cost a little extra in the long run because your child will want to collect the cab fare written on the side of this bright yellow taxi. Luckily it's 1950's fare... Recommended ages 3 to 5 years old. Adult supervision required. ready to save the day... Recommended ages 3 to 5 years old. Adult supervision required. In a word "Cool". Anyone driving this flamed up bad boy will definitely be cool. 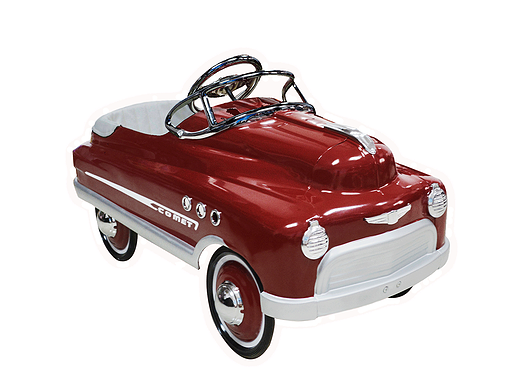 Just think of how excited a little person will be when they sees this custom Comet car. Recommended ages 3 to 5 years old. Adult supervision required. This Deep Burgundy Comet is all 50's. 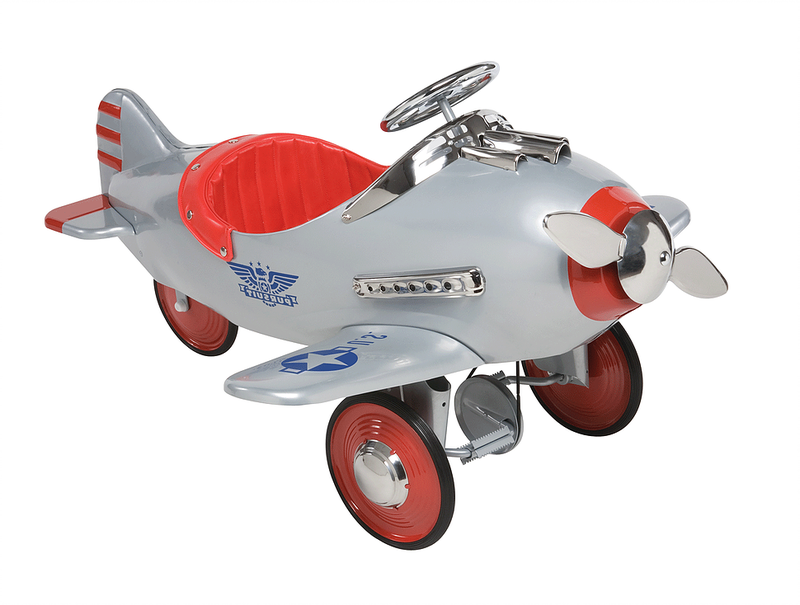 With it's era color, sleek lines and chrome accents. Recommended ages 3 to 5 years old. Adult supervision required. 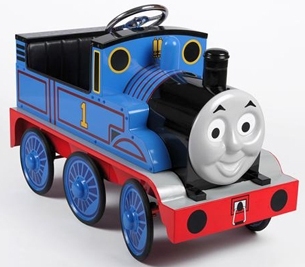 I think I can, I think I can, I think I can... Make it up the hill in style with this gorgeous Thomas the Tank Engine pedal car. Recommended ages 3 to 5 years old. Adult supervision required. CHOO...CHOO... Ring the bell and climb aboard! 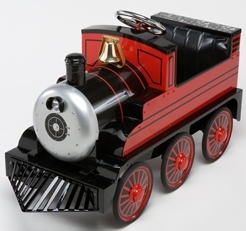 This adorable little red train is just what every budding conductor needs. Unfortunately, the stripped hat is not included. Recommended ages 3 to 5 years old. Adult supervision required. We are constantly working to update our website as new merchandise arrives. If you are looking for something specific, but don't see it here, please call us at 519.740.6367, email us at info@nostalgiaco.com or stop by the store!